Job Opportunities: We are often looking for outgoing, bright, and enthusiastic people to join our team! Download an application here. Charitable Donations: Sky Zone Deer Park is proud to support and help local organizations and schools. Request a donation form here. No! Sky Zone welcomes people off all ages, sizes and physical abilities. Jumpers will be separated by size/age and all jumpers must be able to follow our rules. At Sky Zone we keep it safe! For this reason, regardless of your relationship to the jumper, we separate by size/age to help avoid injuries that could result. Our team members reserve the right to move guests around to different courts or different sections of courts for safety. Walk-ins are welcome anytime, but we do have a capacity limit! 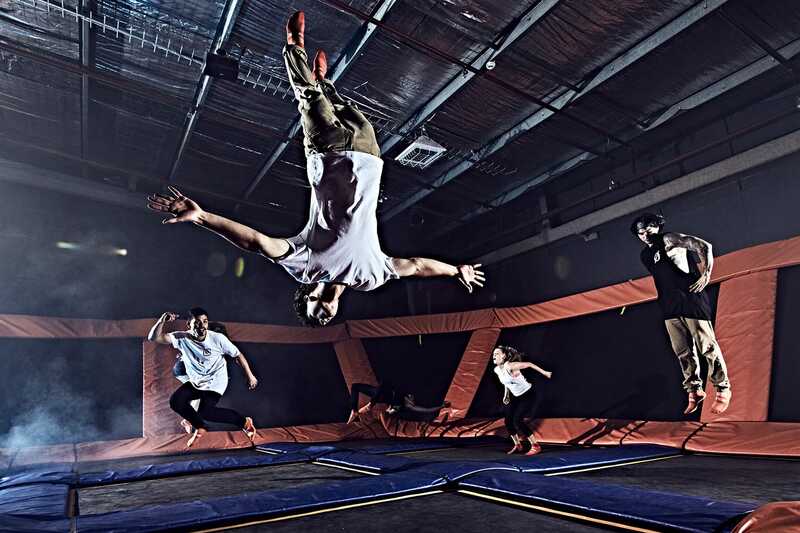 Pre-purchased tickets for individuals and smaller groups are recommended in order to guarantee (when available) your jump time, and can be purchased by clicking here; reservation fees apply. For information on large group reservations, Click here. Sky Zone offers multiple trampoline playing courts and a variety of programs. Click here for a complete list. We accept walk-in guests during all open hours of operation subject to availability. Reservations are HIGHLY recommended as jump times do sell out. For groups under 20 jumpers, reservations must be done online through our website. Groups of 20 or more can call to reserve time at least 48 hours in advance, subject to availability. Make sure to check out our ”Fly Safe” page to see a list of our rules at Sky Zone.